The California attorney general's decision to challenge Sutter Health's market dominance should be a wakeup call to other large providers across the country, experts said. 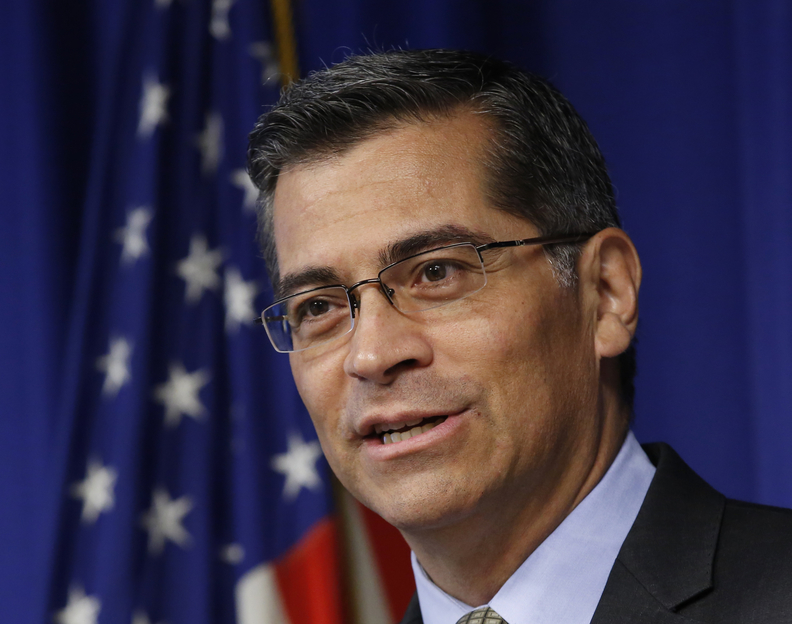 Xavier Becerra filed a lawsuit on March 29 that is the culmination of a six-year investigation accusing Sutter Health, the largest provider in Northern California, of anticompetitive behavior that inflated healthcare prices. Other states may follow California's lead, particularly as they pick up bigger shares of healthcare expenses, said Ben Waldin, an associate at law firm Eimer Stahl. "It should be a concern to any major multihospital system in any state that has significant market share and maybe engages in some of these practices," he said. The complaint alleges that Sutter, which operates 24 hospitals throughout Northern California, would pitch "all or nothing" contracts with insurers that exclude competitors. Also, these contracts allegedly bar payers from sharing price information before treatment. In a statement, Sutter said the attorney general's lawsuit is inaccurate and its total inpatient charges are lower than other Northern California hospitals. The statement went on to note that Sutter limited overall rate increases to health plans to the low single digits, and that competition is healthy in the Bay Area. "I think there is going to be pushback in areas that have a consolidation of market power," said Rafael Villalobos, member of the law firm Eckert Seamans. "Wherever there is a demonstrable (variation) in cost associated with care provided between comparable systems, there is going to be scrutiny." California employers are involved in another class-action antitrust lawsuit against Sutter stemming from its alleged overcharging. A judge ruled in November that Sutter employees intentionally destroyed 192 boxes of documents related to that case, which doesn't help its standing, experts said. Providers across the nation are using scale to lessen the blow from falling reimbursement rates, dwindling inpatient volumes and rising operational costs. Partners HealthCare—Massachusetts' largest health system—completed its acquisition of Massachusetts Eye and Ear on April 1. The deal moved forward despite concerns that the combination would raise healthcare spending up to $61 million a year, according to the Massachusetts Health Policy Commission. Last week, the Massachusetts' Public Health Council endorsed the merger between Beth Israel Deaconess Medical Center and Lahey Health. If approved by other regulators, the merged entity would be well-positioned to challenge Partners' dominance. Highmark Health and the UPMC health system are pitted in an arms race as they look to maintain a competitive edge in the rapidly consolidating Pennsylvania market. One of Highmark's latest deals involved a partnership with Hershey, Pa.-based academic health system Penn State Health while UPMC finalized its merger with Harrisburg, Pa.-based system PinnacleHealth last year. That deal went through about a year after federal regulators dismantled the Pinnacle and Penn State Hershey Medical Center proposal. Scrutiny from regulators, especially regarding prices, has thwarted other major deals in the past year. The Federal Trade Commission and Illinois regulators last year broke up the proposed merger of Advocate Health Care and NorthShore University HealthSystem; Advocate has since finalized a cross-state marriage with Aurora Health Care in Wisconsin. And in North Carolina, state officials raised serious concerns about cost increases from a proposed merger between Atrium Health and UNC Health Care. The two organizations suspended talks in early March. Yet even when prices seem out of the norm, assessing the root cause isn't always easy. Researchers at the University of Southern California's Schaeffer Center for Health Policy & Economics found the average price for hospital admissions in California increased 70% from 2004 to 2013. The jump was even more significant for the state's biggest hospital systems, including Sutter and Dignity Health, where the average admission price increased 113%. "We should be careful not to jump to the conclusion that these increases in cost are necessarily driven by market power. I know in Northern California over the past 10 years salaries have gone up quite a bit because the cost of living has gone up dramatically," Waldin said. "I'm sure that will be part of Sutter's argument."